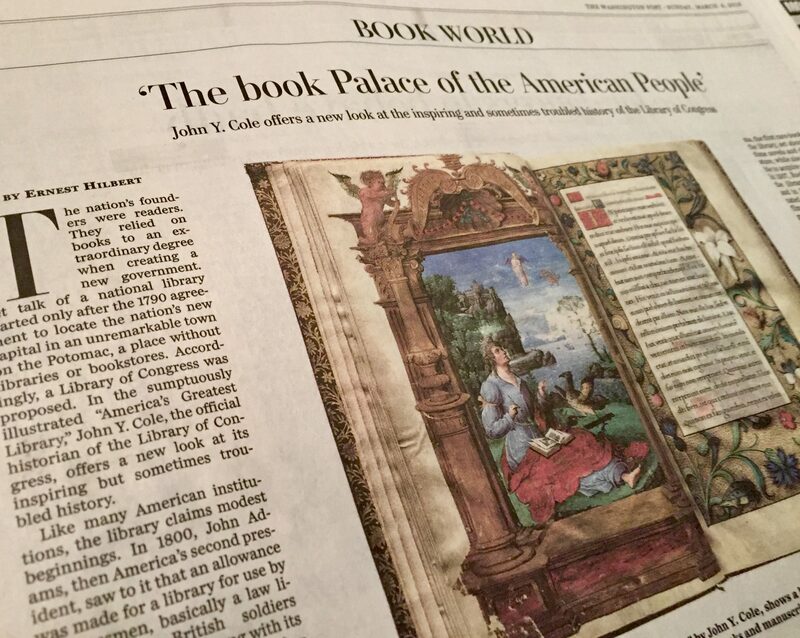 My review of a new history of the Library of Congress appears in today’s Sunday Washington Post. Check it out. I notice they altered my bio slightly to make me a “dealer in rare books,” which sounds altogether too louche. The nation’s founders were readers. They relied on books to an extraordinary degree when creating a new government. Yet talk of a national library started only after the 1790 agreement to locate the nation’s new capital in an unremarkable town on the Potomac, a place without libraries or bookstores. Accordingly, a Library of Congress was proposed. In the sumptuously illustrated “America’s Greatest Library,” John Y. Cole, the official historian of the Library of Congress, offers a new look at its inspiring but sometimes troubled history. Read on at the Washington Post newspaper.